Naps Team is a studio composed of industry veterans who have worked with publishers like Gremlin Interactive, Atari/Infogrames, Interplay or Ubisoft. 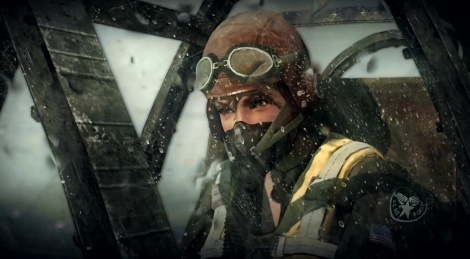 They have just launched a Kickstarter campaign for Iron Wings, a single-player air combat game set during World War II, which could also feature some multiplayer action if they manage to get enough money from backers. The project is pretty ambitious, and even though it cannot be compared to AAA titles in terms of visuals, it seems immersive and interesting enough to deserve your attention. To find out more about the game, check out the videos inside and the Kickstarter page. Crimson Skies' description: industry veterans, single-player, air combat game, set during World War II, also feature some multiplayer action, pretty ambitious, even though it cannot be compared to AAA titles in terms of visuals, immersive, interesting enough to deserve your attention. Microsoft, for the love of everything that is holy - and unholy as well, please just remaster Crimson Skies, the best air fighting game ever.